The French Restoration (1814-1830) is an era woefully neglected by historical novelists. Fortunately, Elena Maria Vidal helps fill this void with her Madame Royale. Marie-Thérèse-Charlotte de France, Duchesse d’Angoulême, was the eldest child of Louis XVI and Marie-Antoinette, and later the last Queen of France, albeit for a few minutes, until her husband’s abdication on a fateful day of July 1830. For most of her life, she was known simply as Madame Royale. Vidal gives us a gripping portrait of a woman whose personal destiny is enmeshed with the convulsions of the French Revolution and European history. In the novel, we first meet Thérèse, as we will simply call her, in her English exile, presiding over the shabby court of her uncle, King Louis XVIII. There I must admit to being prejudiced: the setting of the beginning of Vidal’s novel is exactly the same as that of the conclusion of my own Mistress of the Revolution: Hartwell House, an estate in the English countryside. 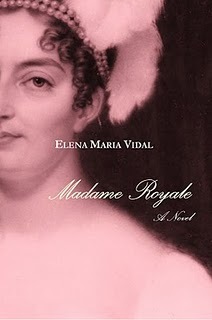 I had not read Madame Royale when I wrote my own novel, and was startled by the coincidence. The point of view of the novel is that of Thérèse, which is to say informed by her royalist conviction and deeply held Catholic faith. A lesser novelist might have been carried away by her identification with her heroine, and tempted to give us a hagiographic description of the royal family and its supporters. But here we get to see historical characters, flaws and all. We meet King Louis XVIII, who “did not like to discuss conspiracies, since he himself had been involved in so many.” True enough, Louis XVI had no more determined and dangerous enemy than this all too clever brother. 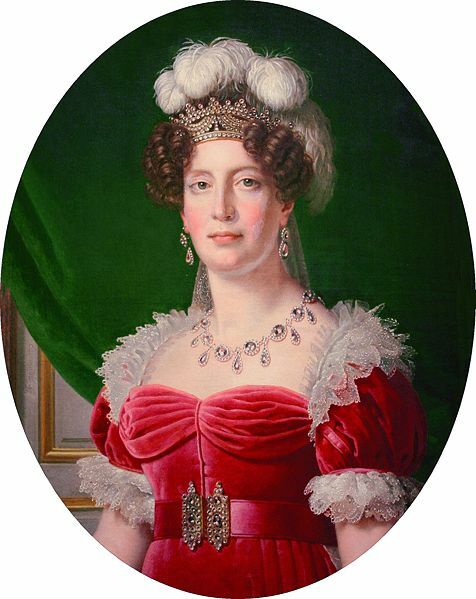 We also meet his Queen, Marie-Josephine de Savoie, no less an enemy to Marie-Antoinette in the glory of her past Versailles days, now a pathetic alcoholic, blurting out inconvenient truths in front of her husband and courtiers, and yet touched by the grace of contrition at the very end of her life. And Vidal’s description of the Comte d’Artois, later King Charles X, is equally accurate: an aging dandy of great intellectual mediocrity, whom even the ordeals of the Revolution could not turn into a statesman. Thérèse alone lends dignity, and legitimacy, to these surviving Bourbons. Her allegiance to her uncle Louis XVIII silences those who raise questions about the fate of her brother, who may, or may not, have died in the grim embrace of the Temple prison. But this does not quell the demands of her conscience nor her the longings of her heart. She is racked by doubt and never abandons her quest for her lost brother. We see Thérèse from the inside, and also as her contemporaries perceived her: a handsome, majestic woman, but also one whose demeanor is outwardly aloof, whose voice is hoarse and croaky, maybe from her long silence during her years at the Temple. Some passages in the novel make an unforgettable impression, in particular Thérèse’s meeting with Jeanne Simon, the widow of the cobbler Simon, who had been appointed “tutor” to Louis XVII at the Temple. One could have expected a hateful description of the old lady, but Vidal, in addition to doing impeccable research, never lets us forget that revolutionaries too are human. In Mère Simon, she shows us an outwardly harsh, but uncannily perceptive woman. She and Thérèse, across the chasm that sets them apart, are united by their love of the lost child. There are other highlights, in particular Thérèse’s almost nightmarish return to Versailles after the Restoration, when she finds the ghosts of her loved ones haunting the gilded palace of her childhood. The novel is a work of utmost subtlety, a quality that is nowhere more apparent than in the evocation of Thérèse’s union to her cousin, the Duc d’Angoulême, heir to the throne. Like every marriage, this one is a mystery to outsiders, but we feel Thérèse’s ongoing struggle to breathe life and love into it. Readers looking for romance or lurid bedroom scenes will be disappointed, but I found the complexity of the couple’s relationship entrancing. “The heart of the novel is the mystery of suffering; not the dramatic agony of martyrdom and death, but the long travail of years amid duties and disappointments, the suffering of living,” writes Elena Maria Vidal. There is no better description of the book. And stay tuned: I will have the privilege of interviewing the authoress shortly. For further reading on Madame Royale, I refer you to her Memoir (here and here, in English translation.) The great novel of the French Restoration is, of course, Stendhal’s masterpiece, The Red and the Black. For recent historical fiction, I recommend Louis Bayard’s The Black Tower. FTC Disclosure: I received a free review copy of Madame Royale.